All the stuff we forget to categorise or that defies categorisation! Would you like to learn more about trading? On 1 November 2017, OANDA will be holding an introductory trading seminar hosted by proud Kiwi Jeffrey Halley. With more than 30 years’ experience in FX – from spot/margin trading and NDFs through to currency options and futures – Jeff is OANDA’s senior market analyst for Asia Pacific, responsible for providing timely and relevant market commentary throughout the region. Register here to attend this event. OANDA look forward to seeing you there. 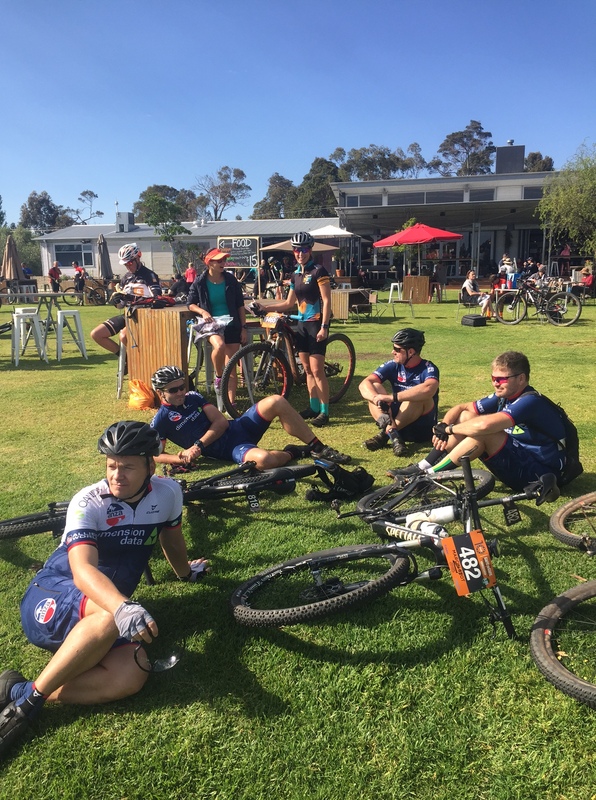 World class mountain bike trails, famous wineries, and breweries, delicious food and perfect weather for riding definitely put the Cape to Cape MTB event on the top of our list when we were planning our race calendar for 2017. The Cape to Cape mountain bike race is a four day stage event for riders of all levels that winds itself through Western Australia’s stunning south west region. It has been running for the last nine years and traditionally starts at Cape Leeuwin Lighthouse and travels 220kms to Dunsborough at Cape Naturalist. 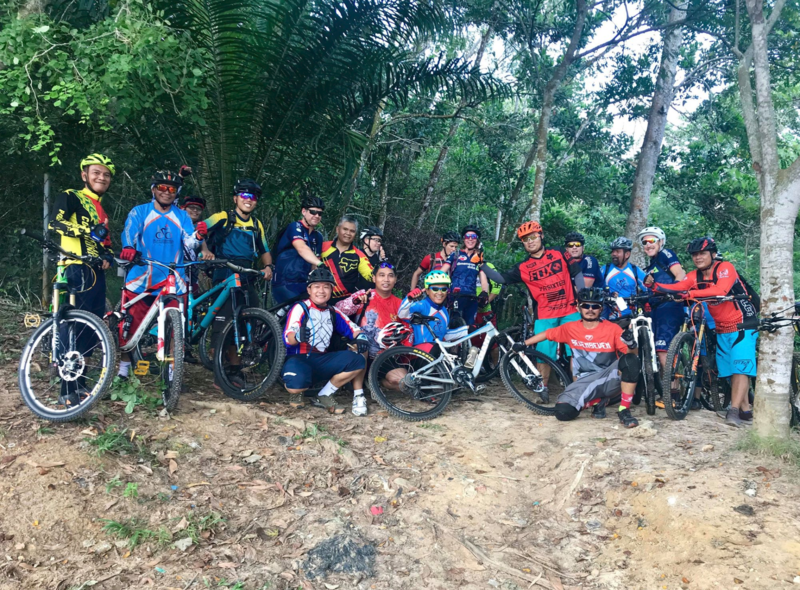 This year, for the tenth anniversary, the organizers decided to make the event more family friendly and to use the favorite world class trails of the Pines, Boranup and Middle Earth forests more effectively. All of the starts were within a 5km radius of Margaret River town and started and finished at a different winery each day. The hardest decisions to make were how many glasses of wine or beer we should have after each stage so as not to affect the next days racing! 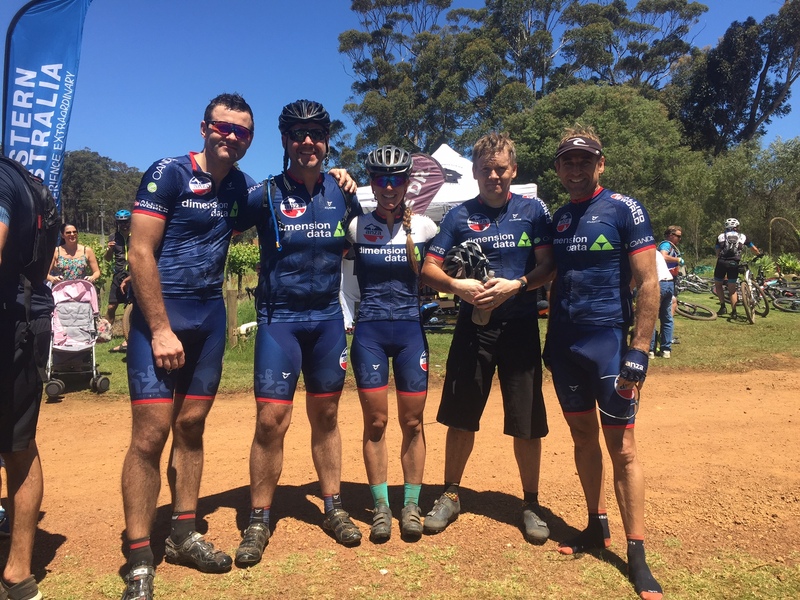 Seven intrepid ANZA mountain bikers made the trip down to Margaret River for the 2017 event, Chris Rawlings, Nick Richmond, Arran Pearson, Hilke Rode, Joergen Nailer, Shane Snijders and Marcin Szot. 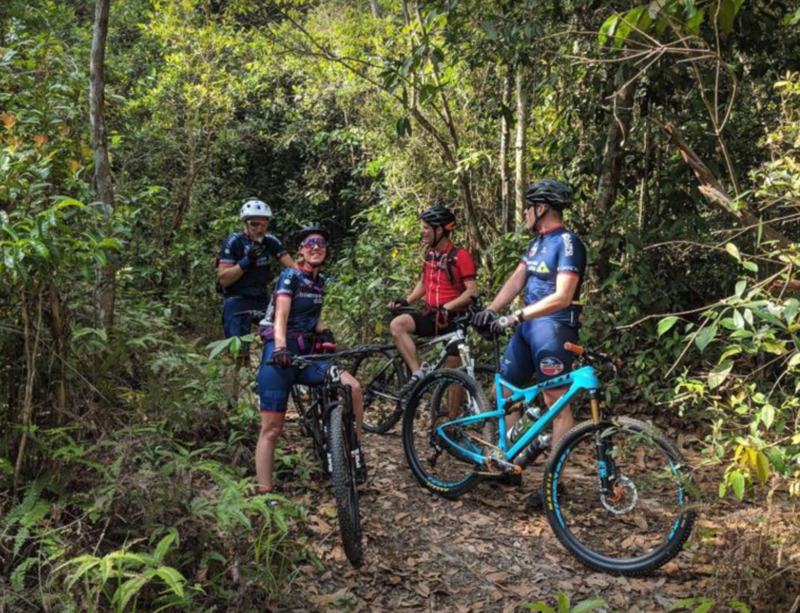 All regulars on the Thursday night and Saturday morning mountain bike rides in Singapore. 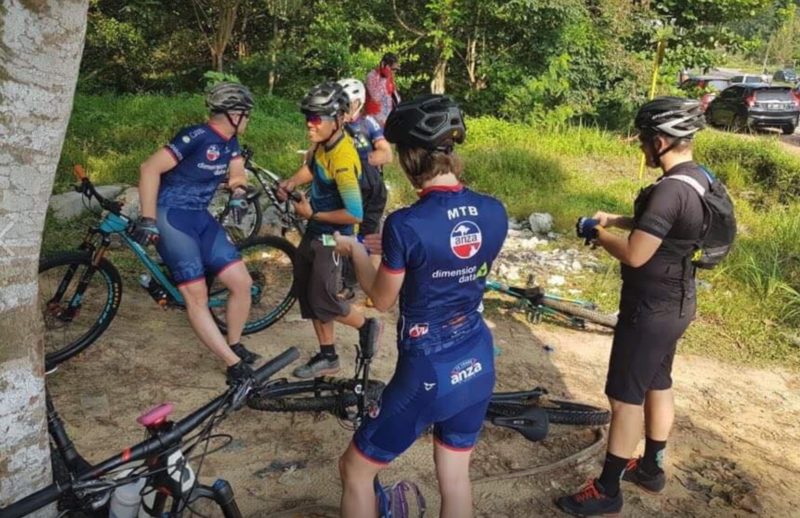 As this years event was designed to be more family friendly with an event village and less travelling, most riders came with family as their support crew. Started and finished at Xanadu winery with 55kms of trails around the 10 mile dam and into the world class Pines and Compartment 10 trails with huge burms, jumps and switchbacks. All of the ANZA team finished the stage with no crashes or mishaps other than Joergen suffering with cramps. 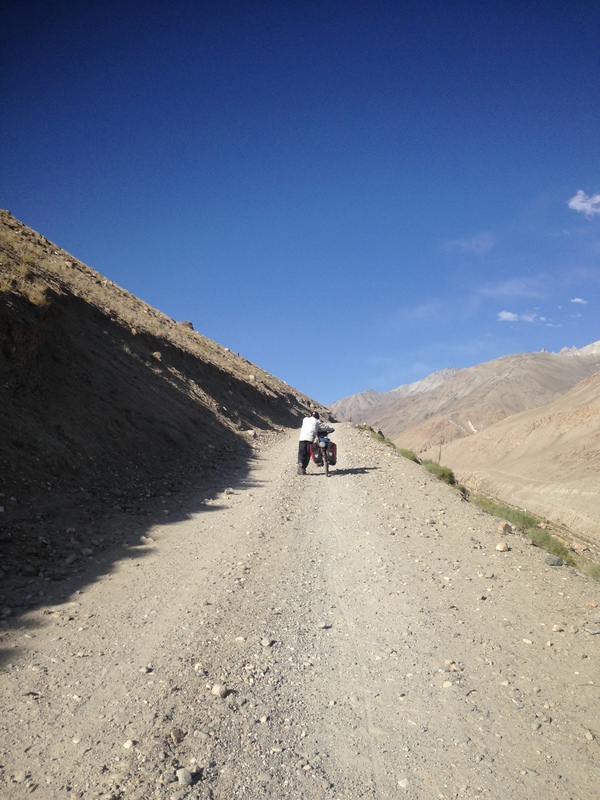 The stage was an extra 8kms than advertised, which caused a few grumbles from other riders. Started and finished at Leeuwin Estate winery with 63kms of trails in the Jarrahdine area, Boranup Forest, Highway to Hell and Caves road. 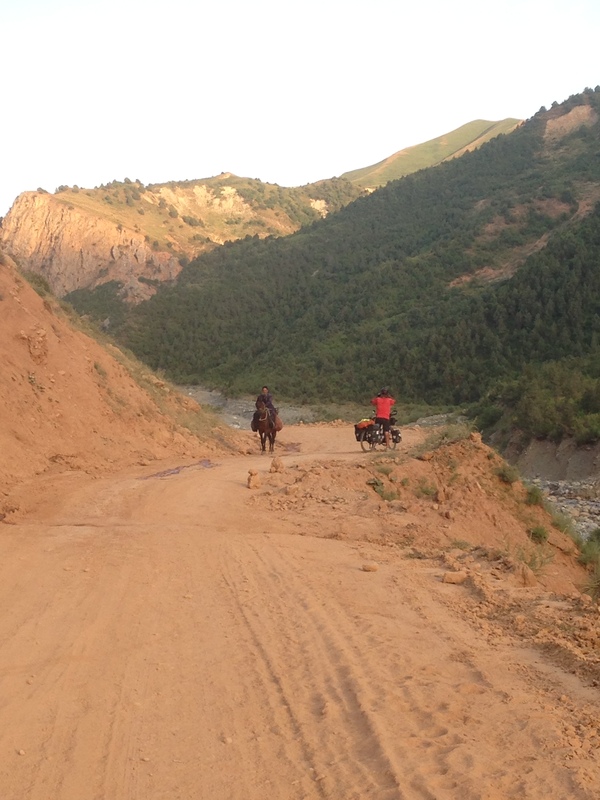 This was the longest and hardest of the stages with lots of sandy tracks, which can make riding very difficult. Once again all of the ANZA team completed the stage with no major tumbles or mechanicals. Our race preparation had definitely paid off! Started and finished at Colonial Brewery with 56kms of trails on fast fire roads up to Middle Earth. With trail names like Mirkwood, Helm’s Deep, Frodo, Eagles Nest, Bilbo Baggins, and Mordor. Almost 20kms along these amazing trails of jumps, burms and swithchbacks and lots of ‘Gotchya’ rocks to throw you into the bush. Again all of the ANZA team completed the stage but Joergen, Arran and Marcin took tumbles along the way. The full suspension bikes definitely paid off on this stage due to the big sections of rock gardens. At the finish line Joergen discovered his phone and sunk to the bottom of a ditch he took a tumble into, alas never to be found. 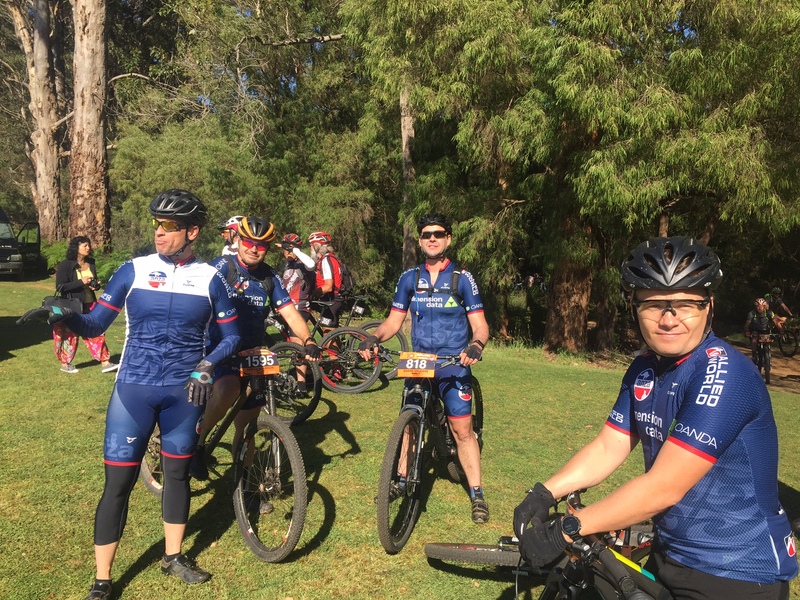 Started and finished in Margaret River town with a controlled roll out through the town center and then 50kms of trails through the world class Pines forest. Smashing through runs such as, Burnside loop, Princess Leia, and Return of the Jedi, by pumping and jumping all the way through. Next into Compartment 10, for more switchbacks and jumps, and finally swinging by Colonial Brewery and back to Margaret River town. Another awesome day for the ANZA crew who pushed hard through the pain and tired legs to all finish with strong times. A special mention goes to Hilke Rode with a general classification finish place of 20 in the ladies and Arran Pearson for the most improved FGP training award. 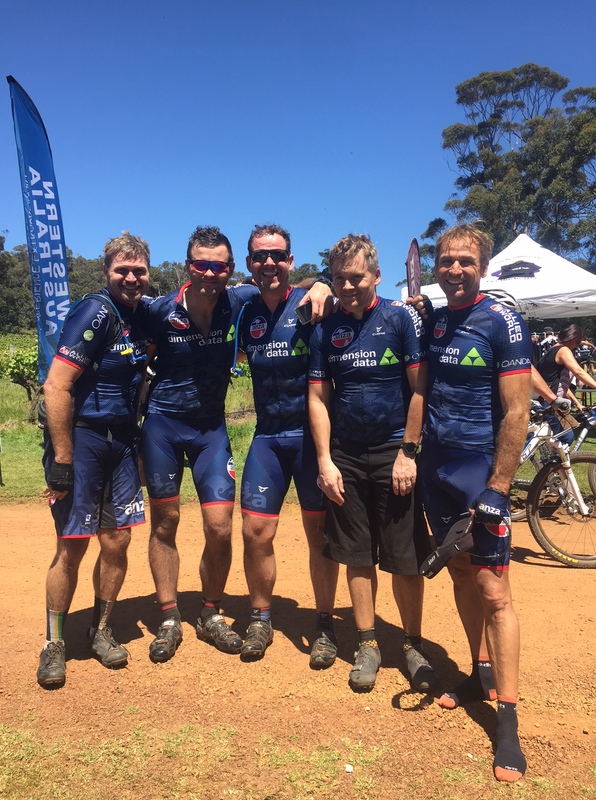 Well done to all of the ANZA MTB team who all placed in the top 600 out of 1600 riders. The team represented ANZA proudly and with great team spirit, plus some fun social events with the families and support crew. Well done all, a great effort! From Tehran the (overly) ambitious nature of my planning became obvious as we cycled down to Shiraz (where we consequently found no Shiraz, or any other type of wine for that matter) and then onto Isfahan. Whilst both cities were magnificent and beautiful, the 40 plus temperatures made appreciating their sights a challenge. Cycling in Ramadan created another layer of difficulty, as many restaurants and shops were closed during the day. I also felt uncomfortable eating and drinking in public thinking that we were breaking the law. We later discovered (much too late) that travellers were exempt from these restrictions! From Isfahan we stopped at Persepolis where were allowed to camp next to the guard house for the night. The night of our arrival the guards quickly found an English speaking guide who arrived at our campsite with tea and stories of his work as an archaeologist during the original dig. We then began the trek across the desert to Yadz. 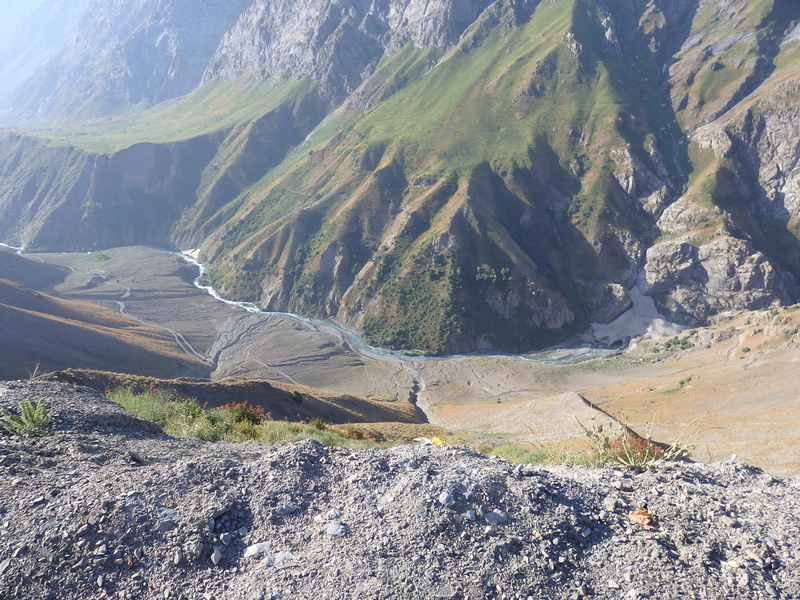 While this part of the trip involved long stretches without towns or people, being able to watch the landscape constantly change proved fascinating. All the podcasts that I had subscribed to in an attempt to stave off boredom went unlistened to as I focused on the road ahead. When we finally did arrive, Yadz turned out to be just as enchanting as expected with its desert coloured buildings and blue tiled domes. From Yadz we attempted to cycle across the last stretch of desert to Mashad, the city considered by Muslims to be the holiest city in Iran (i.e. 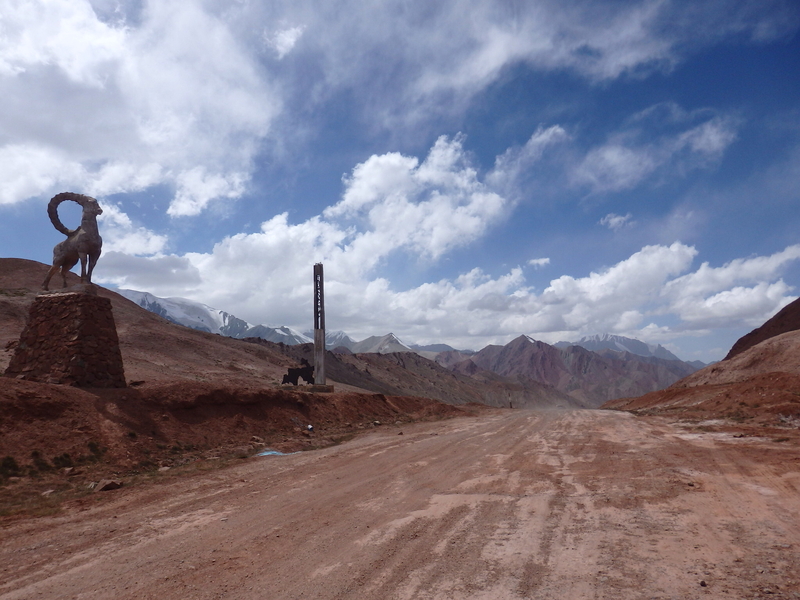 The Iranian equivalent of Mecca) and our border crossing point into Turkmenistan. 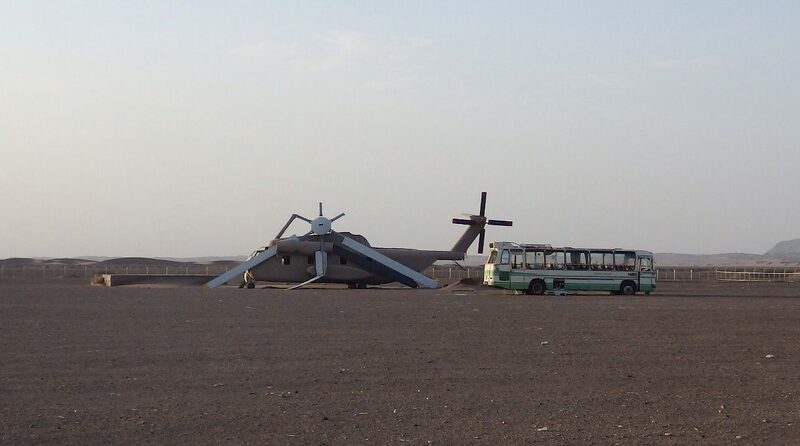 The highlight of this 900km dusty and hot bicycle journey turned out to be camping next to the site of the remnants of a helicopter and plane crash, an ill fated attempt to end the US hostage crisis. There, we were hosted by the Red Crescent staff who made us dinner and breakfast before providing us water for the next part of our trip! We then managed to cycle another 120km through the searing heat and wind before Jonathan realised the stupidity of the endeavor and took the bus. I stubbornly cycled another 270km before I was waved down by a passing motorist, invited into her home for lunch and dinner and then I was bought a bus ticket for the next day! Watching yet more desert roll by from the bus window I definitely realised that I wasn’t missing out! While a great place to see the finish of Ramadan, Mashhad proved to be the least exciting of the Iranian cities that we visited. So after a very long tour of the mosque, involving me wearing an extra long borrowed chador that was not dissimilar to a bed sheet; we were glad to receive our Turkmenistan transit visas. This event was somewhat of a lottery win as many people are rejected with no explanation. The irony of wanting to visit a country that did not want us was not lost on me! While it didn’t feel right to be excited about visiting a totalitarian regime, having spent a month in Iran it was a relief to finally cross the border and enter another country, any country! I would also have to admit that the opportunity to have a beer (or two) and not be obliged to wear a headscarf was playing heavily on my mind! 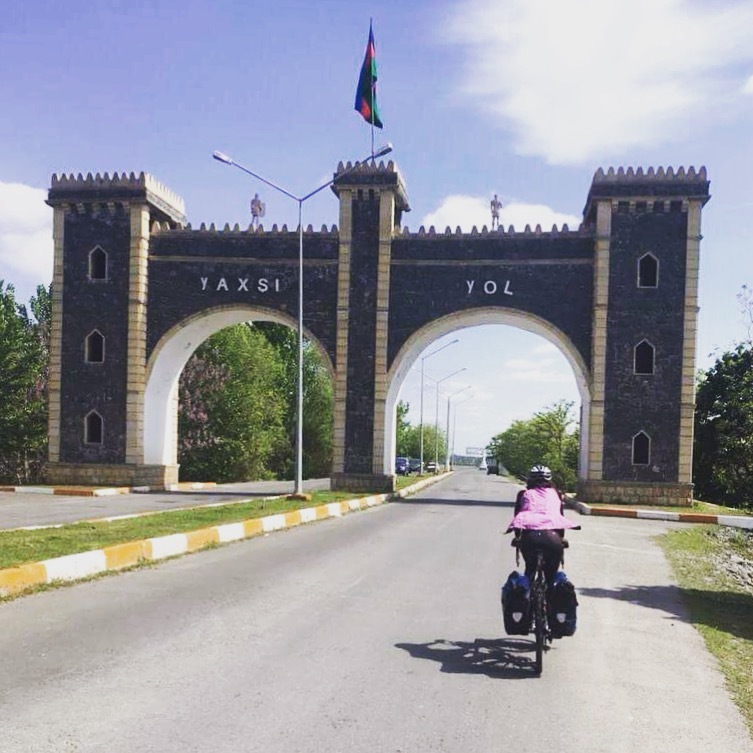 With only five days to cross the country, after successfully navigating the border crossing we loaded our bikes into a waiting taxi and headed towards the nation’s capital, Ashgabat. Once there, we spent the afternoon cycling around admiring the marble buildings, gold domes and large areas of uninhabited lush parkland before checking into a hulking Soviet era hotel. A fairly bleak option, we were provided with one towel to share, no toilet paper or toilet seat and told to open a window if the Arctic blast of the air conditioning became too much. All for the princely sum of $50 USD! 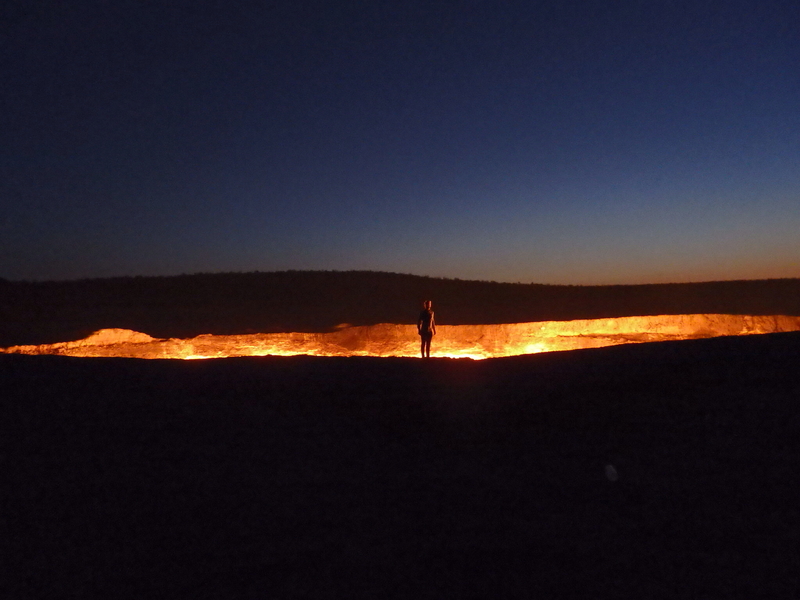 Alone at the crater, we managed to take innumerable photos before camping for the night and returning to Ashgabat the next day. 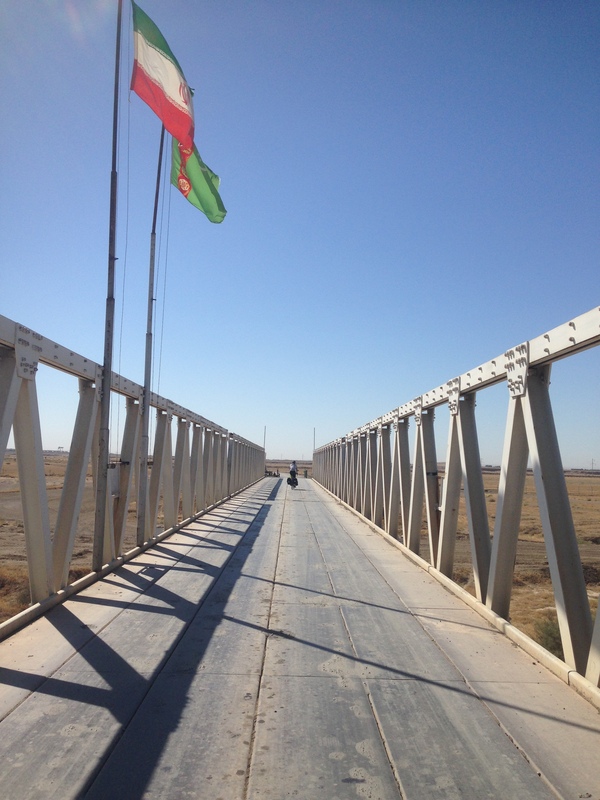 After a another night there we took the overnight train to Turkmenabat and cycled the remaining 30km across the border into Uzbekistan. With its seemingly unending bureaucracy and paperwork, this crossing took up most of the morning. This left us with little choice but to cycle through yet another desert in the midday sun as a ferocious headwind blew sand into our faces. Delightful. Thankfully, the next day proved to be a vast improvement. 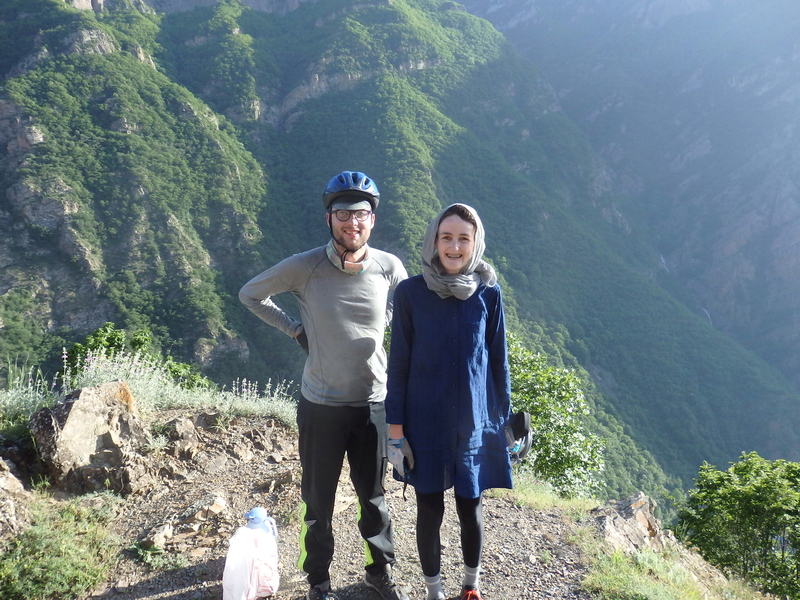 We met up with a French cycle touring couple that we previously encountered in Iran. The day was then spent singing and chatting while cycling through lush green fields criss crossed with irrigation channels and dotted with workers in colourful headscarves. This was a definite change of pace for us! As we cycled along we were greeted by villagers and many children and adults on bikes, who seemed to delight in whizzing past, chains squeaking and rattling. As expected, Bukhara proved beautiful and was not full of the bus loads of tourists that we had expected. After two days of exploration, we set off to Samarkand, arguably Uzbekistan’s most impressive city with its grand monuments, colourful bazaar and rich history. Our time in Samarkand was spent wandering around the city and enjoying fresh food and copious amounts of ice cream before we set off to last destination in Uzbekistan. 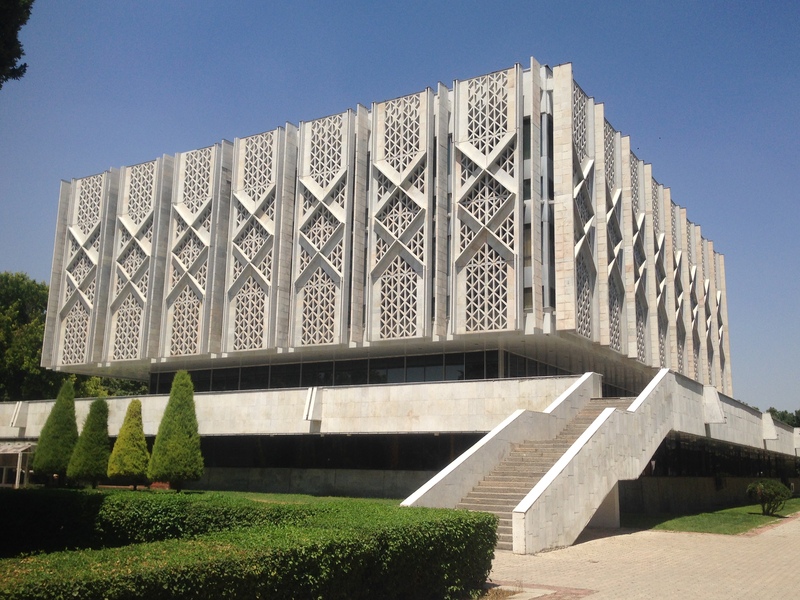 While having enjoyed much of the history that both the cities of Bukhara and Samarkand had to offer it was Tashkent with its plethora of Soviet-era architecture that I was most excited about. Obviously Jonathan was not as thrilled at this prospect. As I had anticipated Tashkent proved impressive with its plethora of mostly well maintained monuments, Stalinist ministries and highly decorated apartment blocks. Somewhat distracted by this haze of architectural induced happiness, at this point Jonathan and I decided to go our separate ways (so yes, Hooper, I owe you a beer). 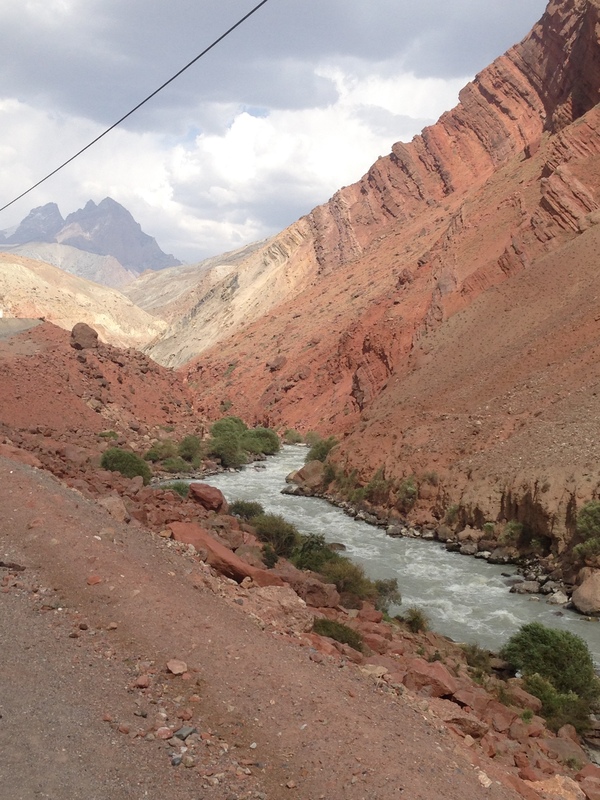 While the trip had been Jonathan’s idea, he decided that he had seen enough of Central Asia whereas I wanted to head to Tajikistan, home of the Pamir Highway, with its promise of some of the best mountain scenery in Asia (and difficult climbs). 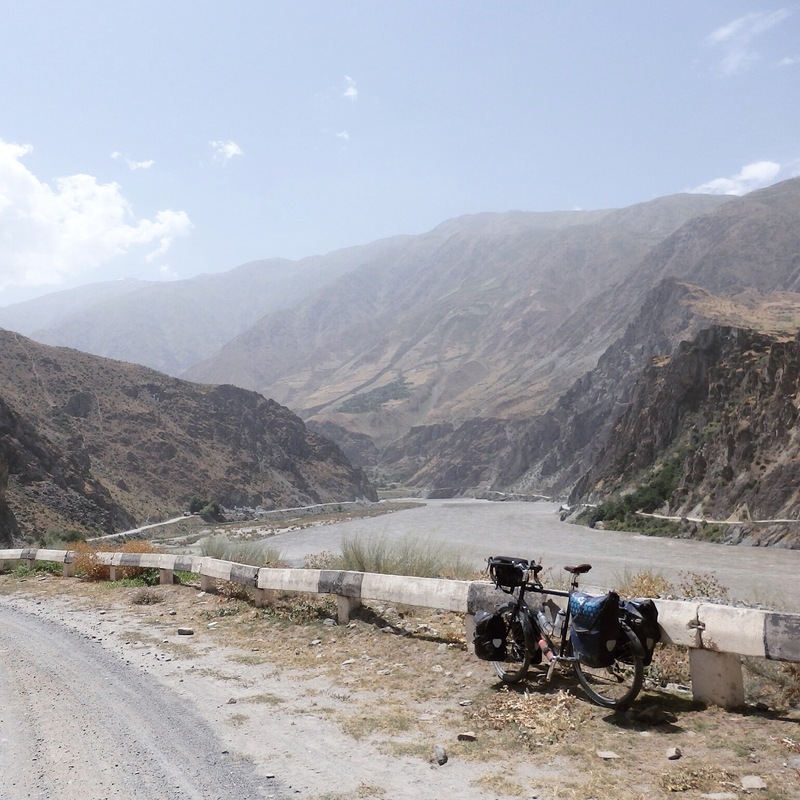 *Slight spoiler alert but I should probably note at this point that having spent two 150km days alone I managed to meet up with a French cyclist who had also lost his travelling companion just after the Uzbekistan/Tajikistan border. So no, I am not still trying to utilize my poor navigational skills in Uzbekistan although I did manage to get lost. Twice. Just a quick reminder that our club sponsor OANDA are hosting this month’s club drinks on Wednesday 28th June. Yes folks, that is tomorrow! If you didn’t spot it on Facebook, then here are all the details. The original Facebook Post is HERE. Join us at the Lime House for cocktails on 28 June for an evening of friendly competition with a chance to win SGD 1,000. Drinks and nibbles will be served while you join in the contest. Register now (via the link below) to reserve your place, you can explore the trading platform from now until the start of the event at your leisure. Bring your smart phone to the event to participate in the competition. A global leader in online multi-asset trading services, OANDA combines award-winning technology and institutional-grade execution across a wide range of asset classes, enabling clients to trade global market indices, commodities, treasuries, precious metals and currencies on one of the world’s fastest platforms. We look forward to welcoming you and finding the ultimate OANDA trading genius. But even if you have an aversion to planning more than a day in advance and therefore cannot bring yourself to register, you are welcome to come along on the day when you find at 6pm that you really need a drink and to bring some sanity to your life by talking about the upcoming TfF which starts this weekend. 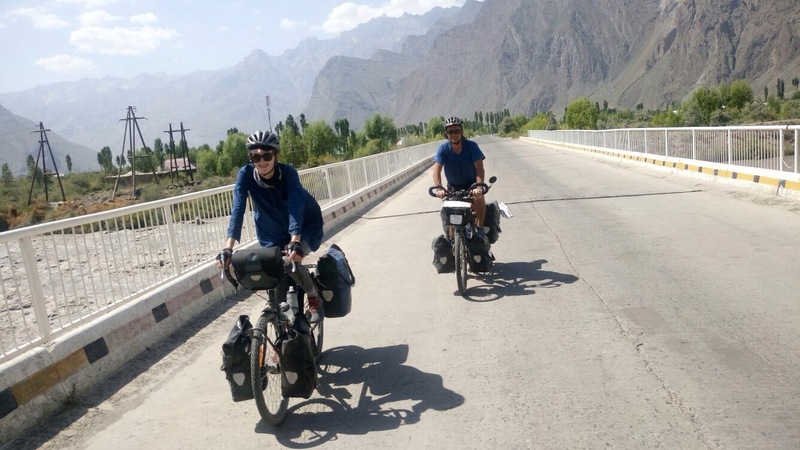 Gillian and her friend Jonathan are currently cycling across Central Asia. They started one month ago. 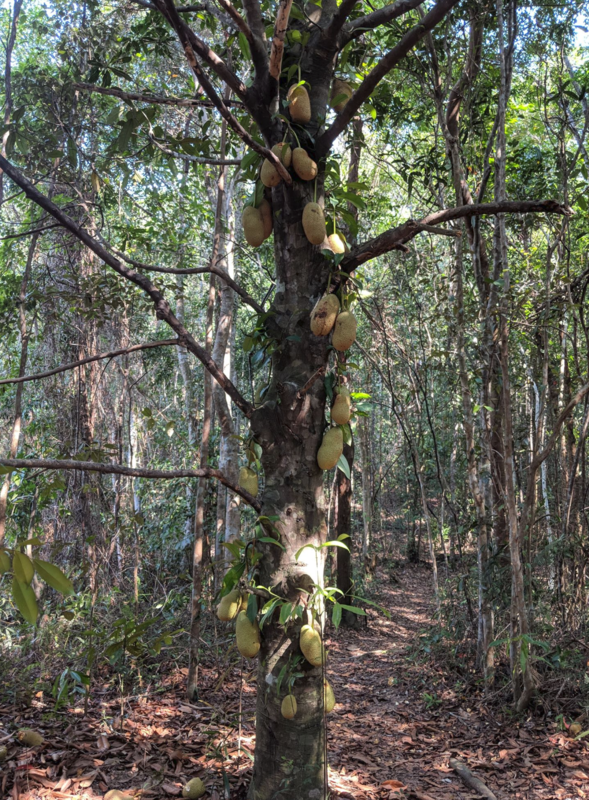 I reluctantly agreed to write this article before I left Singapore. But, if I were to be honest, the idea of laying out all my plans in physical form scared me. What if we got a week in and gave up? What if I got to London, fell in love with it and didn’t leave? This whole journey began with what I thought was a joke. Having just met Jonathan in the Melbourne sharehouse that I had just moved into, he mentioned that he wanted to cycle ‘around the world’ but had no one to do it with. Thinking that it was a preposterous plan that would never happen, I laughed and readily agreed. That was probably my first mistake! Contrary to what I had thought, the plan didn’t disappear. 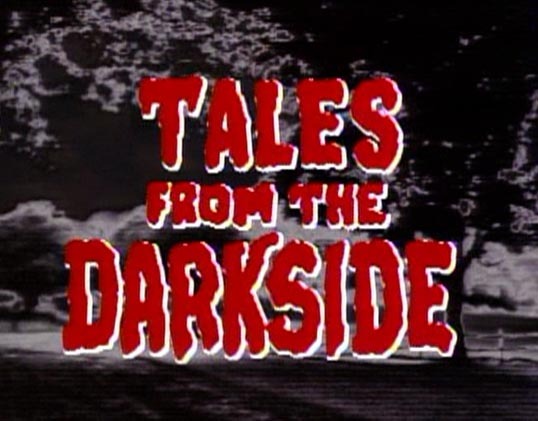 Some initial internet research uncovered a myriad of blogs and websites dedicated to the topic. So, soon we were discussing routes, bikes and equipment. 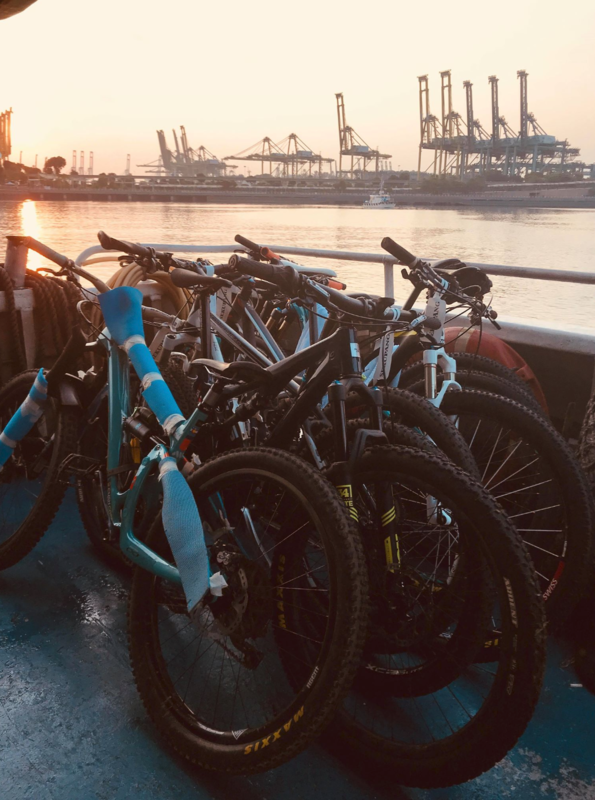 There are a number of popular bicycle touring routes across the world. With Central America, SouthEast Asia, Europe and Central Asia seeming to be the most well worn. Having travelled extensively in Europe and South East Asia, Central Asia with its Soviet Era architecture and many unprouncable country names ending with ‘Stan,’ seemed like a good choice. 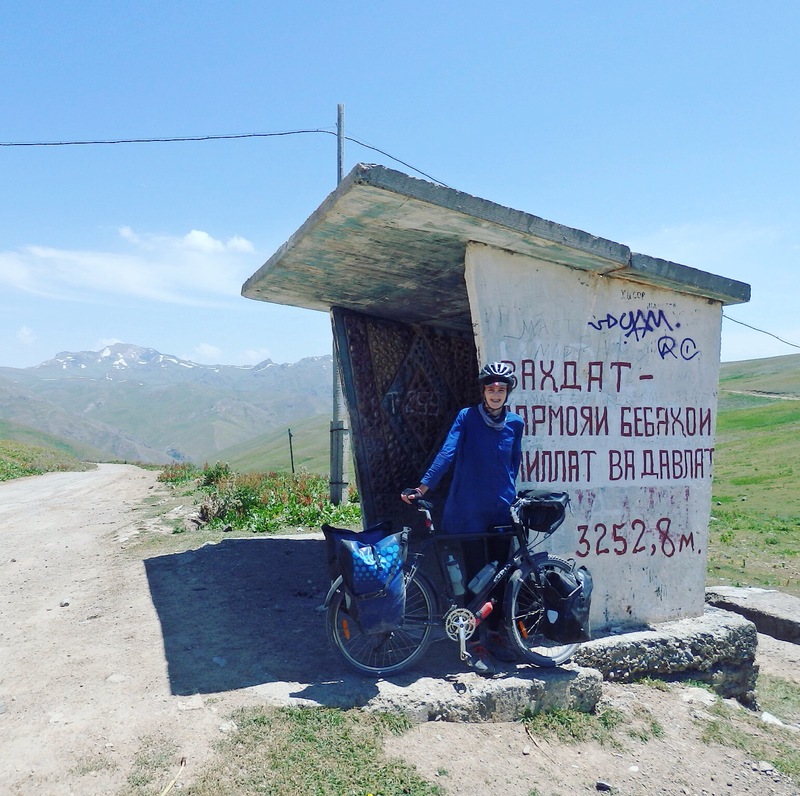 It’s relatively low popularity as a tourist destination and the opportunity to cycle through Azerbaijan, a country I had never heard of until they hosted Eurovision in 2011 also added to the appeal. 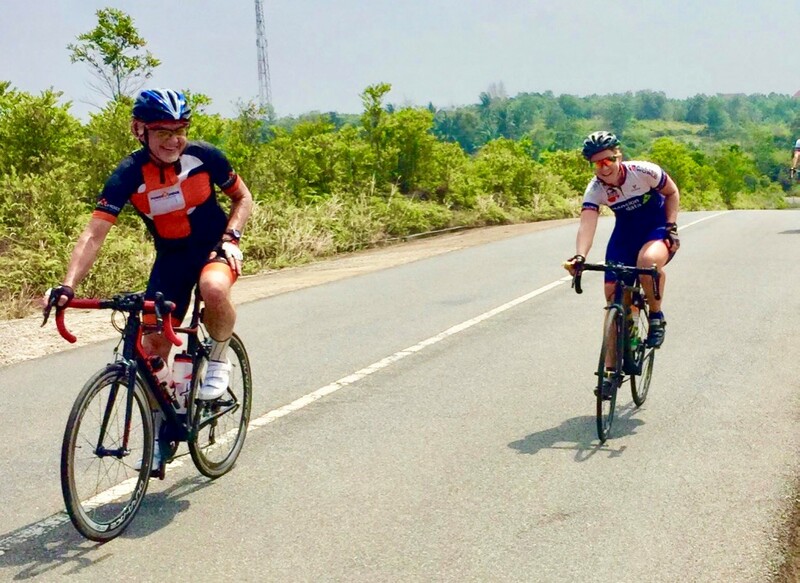 While the idea was still very much in its infancy Jonathan and I decided to cycle across Myanmar as something of a practice. We cycled from Mandalay to Inle lake from where we took a train to Yangon. Battling desert-like conditions and a demanding timeframe due to the limited number of government sanctioned hotels in Myanmar (camping is illegal). 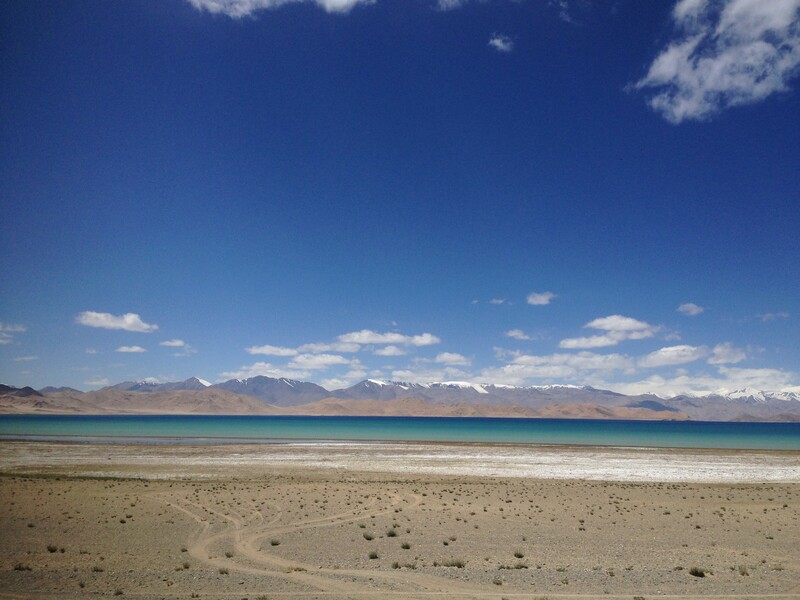 The most unpleasant part of the trip still proved to be the train journey. A trip that had been described as quaint, scenic and charming. The journey itself involved hour upon hour of monotonous scenery, a dining car with only monks and police for company and carriages that moved continuously in directions that aren’t exactly compatible with forward motion travel (or squat toilets toilets for that matter). 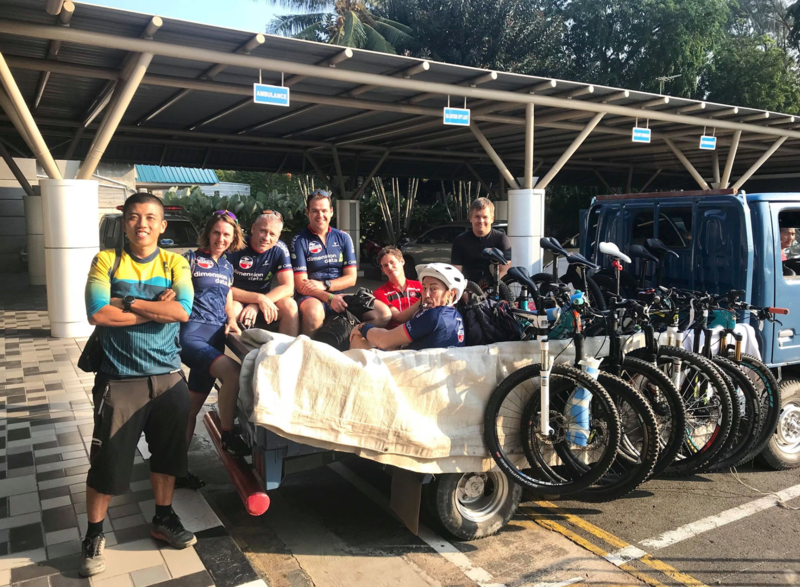 So, while we discovered that train travel may not be the best option in the developing world we also learnt that cycling through it may be easier and more enjoyable than previously thought. Especially given the (surprising) prevalence of repairs. For example, upon the disintegration of my bicycle’s rear hub in Bagan, (a small town famous for its pagodas and not much else), we were able to find someone to rebuild the wheel overnight- probably an unthinkable task anywhere else! So, having confirmed that cycling was indeed our preferred mode of transport, that the one thing that you don’t prepare for will happen and that our friendship could be sustained over a two week period of time; we considered the trip a success and started seriously thinking about the next one. That leads me to where we are now. 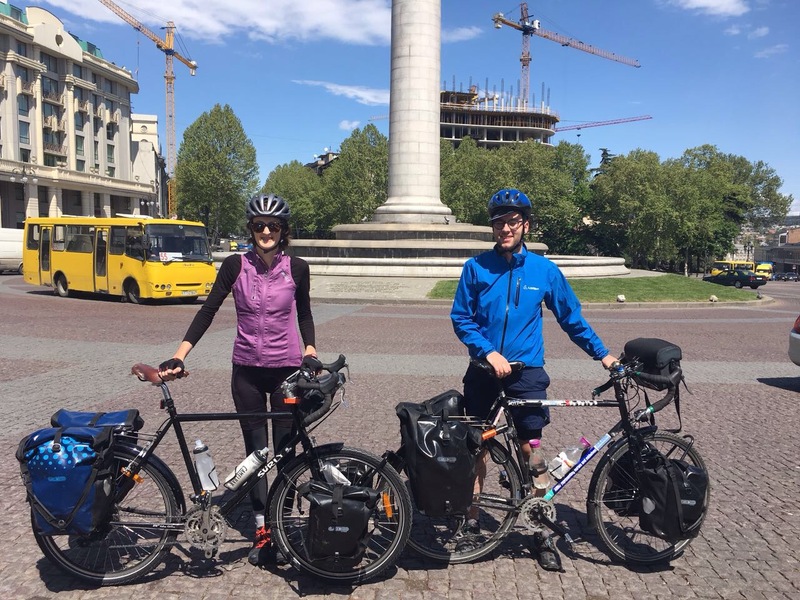 Just over a month ago we set off from Tbilisi, Georgia with the plan to cycle across to Azerbaijan and then onto Iran, Turkmenistan, Uzbekistan, Krygzstan, Kazhakstan and onwards to China. I met up with Jonathan in Tbilisi, Georgia on the 22nd of April with plans to begin cycling on the following Monday. My arrival seemed to prove somewhat of a relief to Jonathan who, like some of my friends seemed to have thought that I would change my mind (i.e. see sense) and stay in London. However it also brought with it the fears and apprehension associated with having to reassemble a bicycle that had (hopefully) withstood multiple flights and airports, not to mention the London tube and it’s escalators in what was now a rather mangled cardboard box. My arrival in Tbilisi also made me aware of a slight planning oversight. It was cold and windy. Probably not actually in a Europe, middle of winter kind of way but arguably uncomfortable for someone who had spent the last three years in Singapore! So, after spending Saturday constructing our bikes in the hostel’s common area (while explaining our plans to the slightly incredulous guests) on Sunday we set off in search of a bike store and polar fleece. It was on this trip that the irony of our choice of location to begin our cycling journey was revealed. Tbilisi is a car city. So, while it has the grand boulevards, plazas and buildings that one would associate with Europe it’s main square and grand monument within it, function as a roundabout for at least three lanes of cars. This made what should have been a short trip to the bike store a navigation exercise involving changing levels, cobblestones and a fair bit of honking. 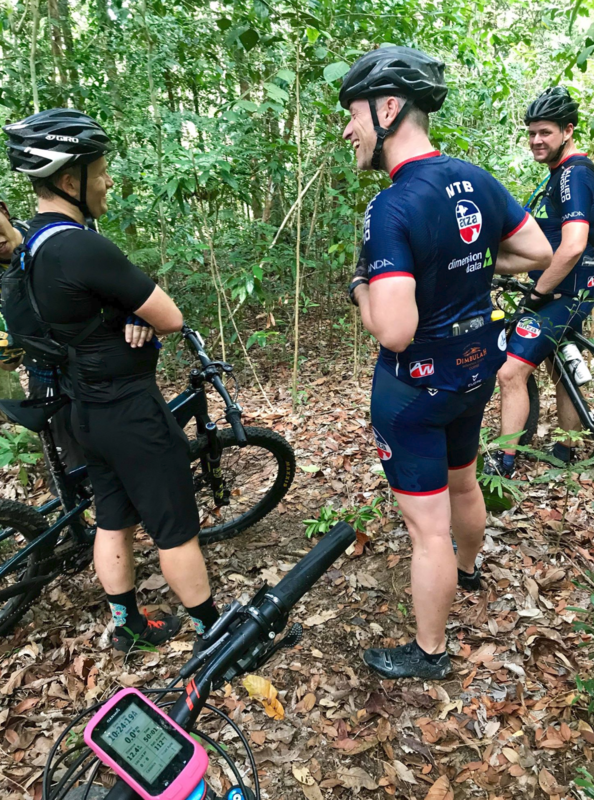 Our subsequent appearance at the bike store was met with a slightly disappointing lack of surprise but we were able to properly inflate our tyres and to make some final adjustments to our bicycles. The next day we fully packed our panniers for the first time and set off. The traffic and road conditions again prove difficult, although this time it was the incredibly strong side wind that proved challenging. As, despite the weight of our bikes and luggage, I felt as though I was going to be blown off the narrow road shoulder into the path of a truck. Which would have provided a hasty end to our cycle touring adventure. As we headed out of the city we met our first fellow cycle tourer. 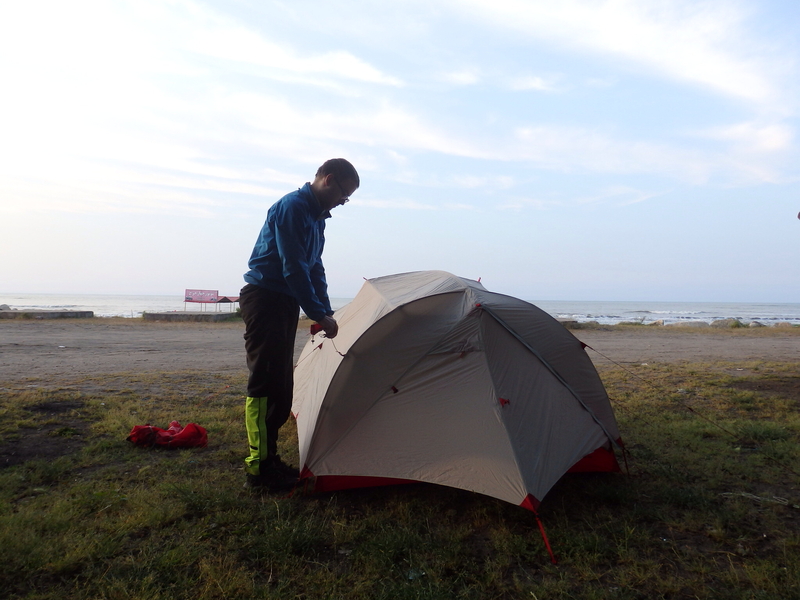 A Russian, he proved to be a highly excitable and enthusiastic companion for a few kilometers who upon realizing that we didn’t speak his language continued to try to engage us in conversation albeit more loudly and enthusiastically. That night we had our first ‘wild camping’ experience having established that Jonathan’s previous camping experience was irrelevant as it had only occurred at music festivals! We identified what looked to be a suitable field, set our tent up and unrolled our sleeping bags. The field’s slight angle made staying on our sleeping matts without sliding down them a challenge but given that we had managed to find a secluded place and assemble our tent with relative ease we considered it a success! 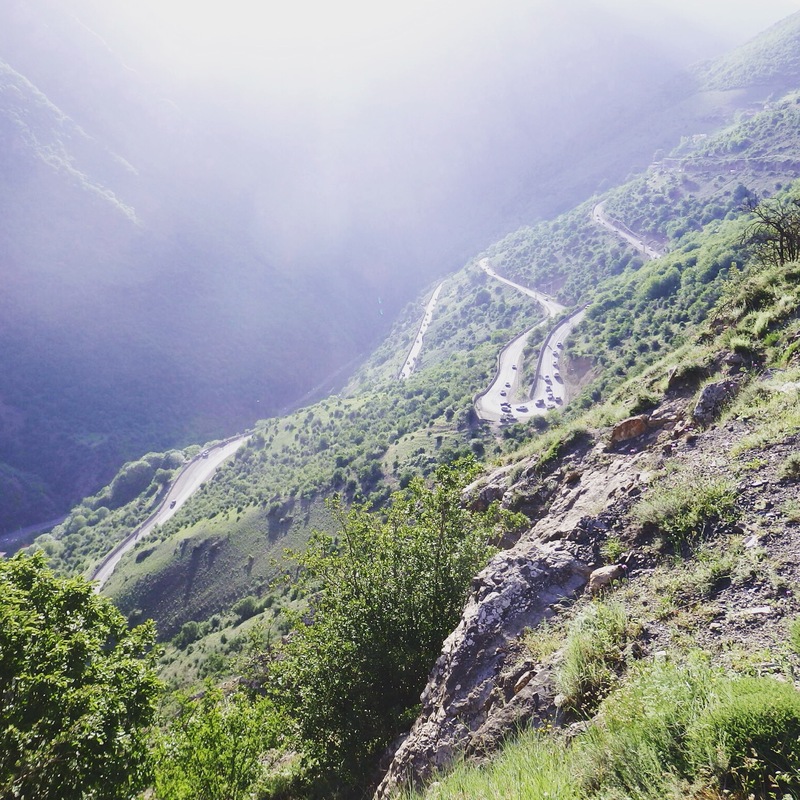 As we continued to cycle in the direction of Lagodekhi, the town that borders Azerbaijan, the roads seemed to become less crowded, the drivers more friendly and the landscape more inviting. While most passing cars made sure to honk at us we soon realised that it was an attempt at a friendly greeting! 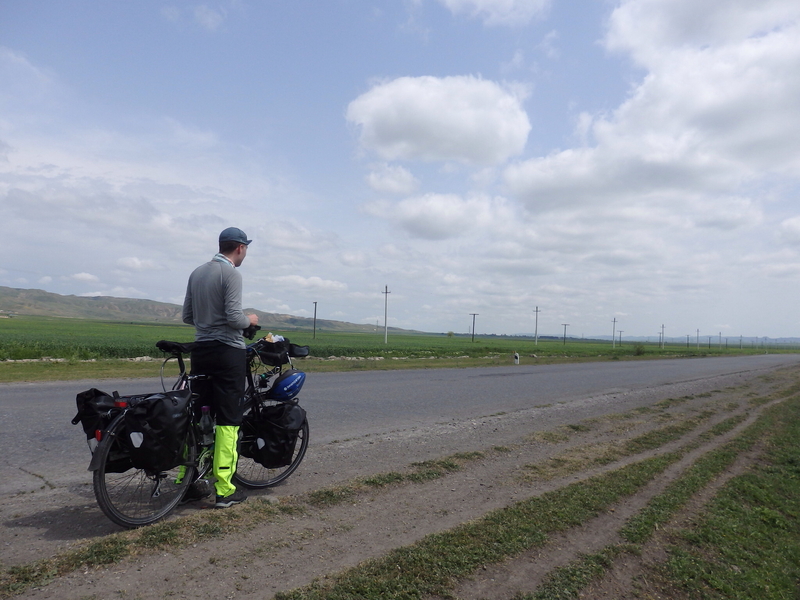 After a relatively straightforward border crossing between Georgia and Azerbaijan we continued to cycle towards Baku. A city that had been described as a cross between Dubai and Europe. Obviously, I was curious. I also have to admit that my enthusiasm was somewhat based upon my strong desire for coffee. A desire that couldn’t really be dampened by the numerous tea stalls that seemed to exist everywhere even on mountain sides. Thus proving themselves to be somewhat frustrating to this exhausted cycle tourist who has always associated long days in the saddle with coffee, 100 plus, magnums and coffee. Yes, I did mean to mention that twice. 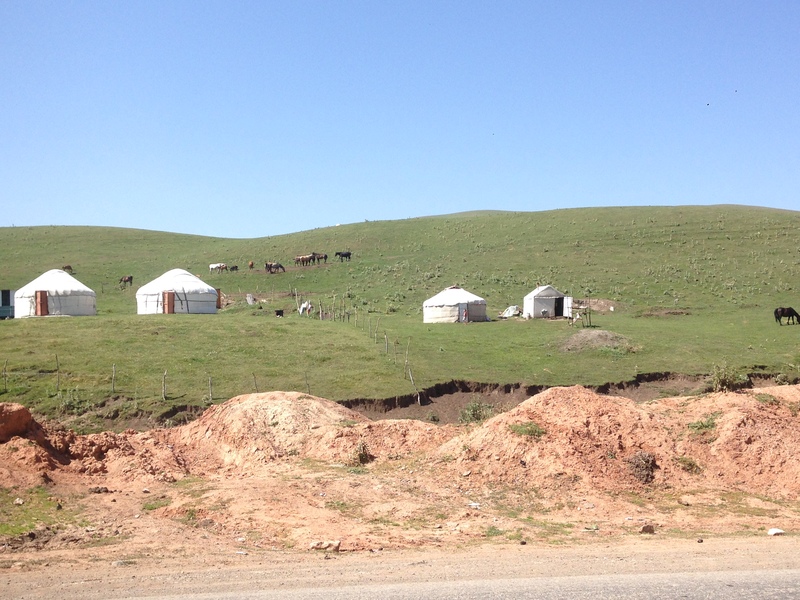 The country side of Azerbaijan proved itself to be scenic and the people incredibly friendly. Upon arrival at the first town across the border Jonathan was immediately assisted by friendly locals to buy a SIM card and directed to the town’s only ATM. Clearly itself an attraction, a curious hoard of locals thronged around it, eagerly watching each transaction. 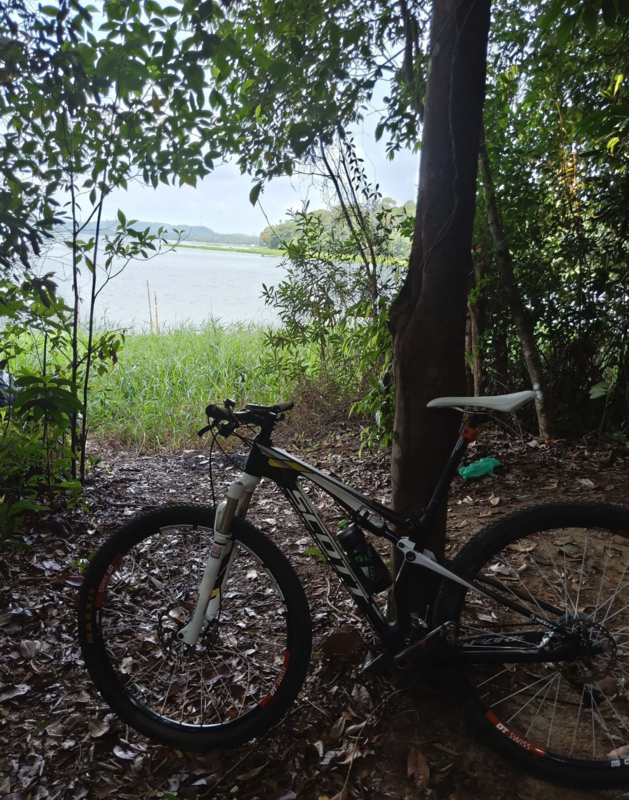 As our cycling and camping continued, we grew better at choosing camping sites, tested out our camping stove and I confirmed that I do indeed cycle faster while being chased by wild dogs. Although I am yet to find out whether this is the way to improve my hill climbing performance. Language, in particular our complete lack of Russian continued to create interesting situations. Upon arrival in one village we were told that we could not camp in a particular spot as we would be “eaten by wolves.” It became apparent after a night of fitful sleep in a field nearby that these wolves were actually wild dogs. 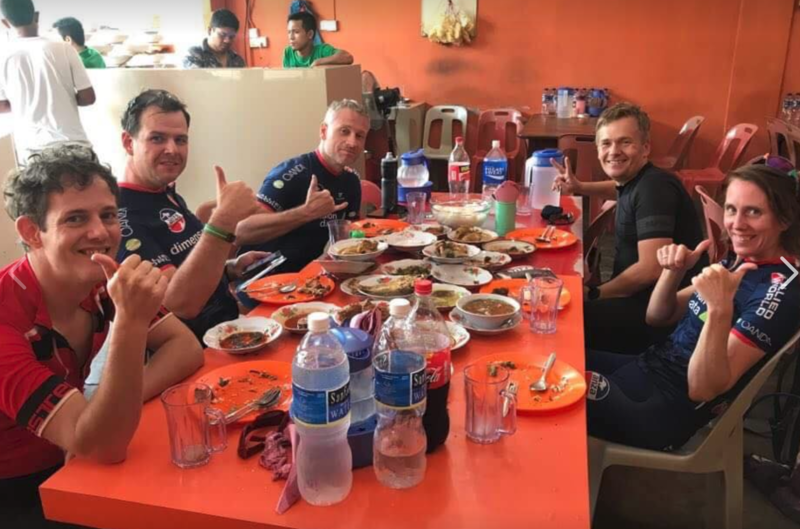 While this experience wasn’t exactly ideal, being shown a field to sleep in and given tea, bread and honey by the locals the night before was a rather unforgettable experience! 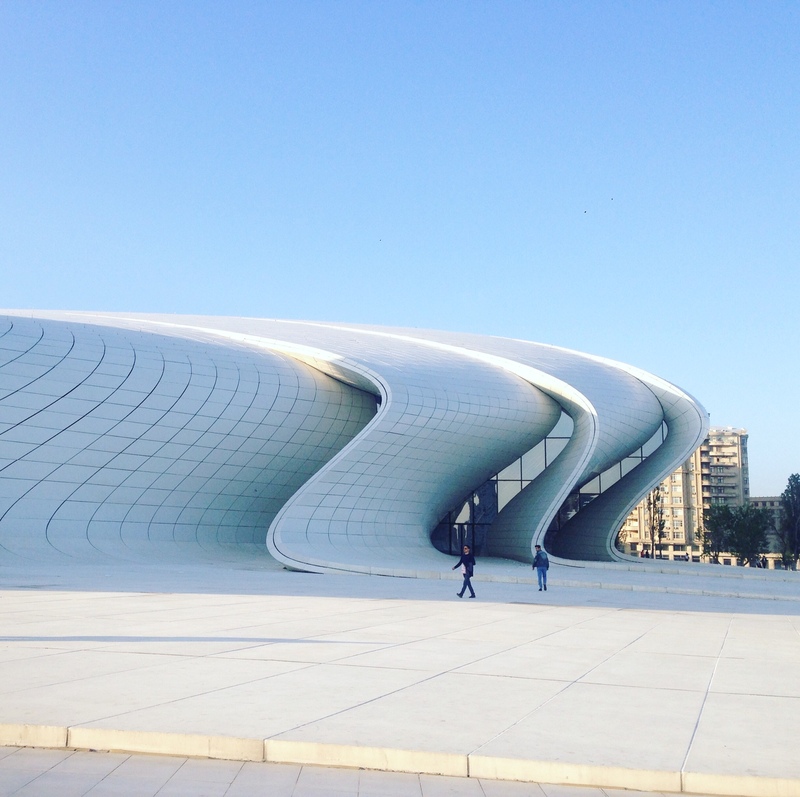 Cycling into the city of Baku itself proved a rather fraught (and friendship-testing) experience with its elevated roadways, one way streets and very poor air quality. 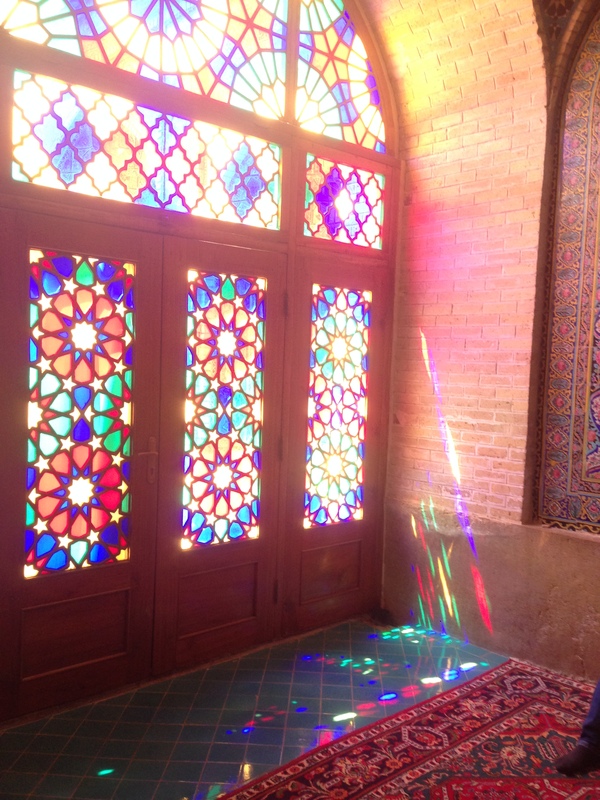 However, it was an interesting place to rest and our Iranian visas were approved with little difficulty. 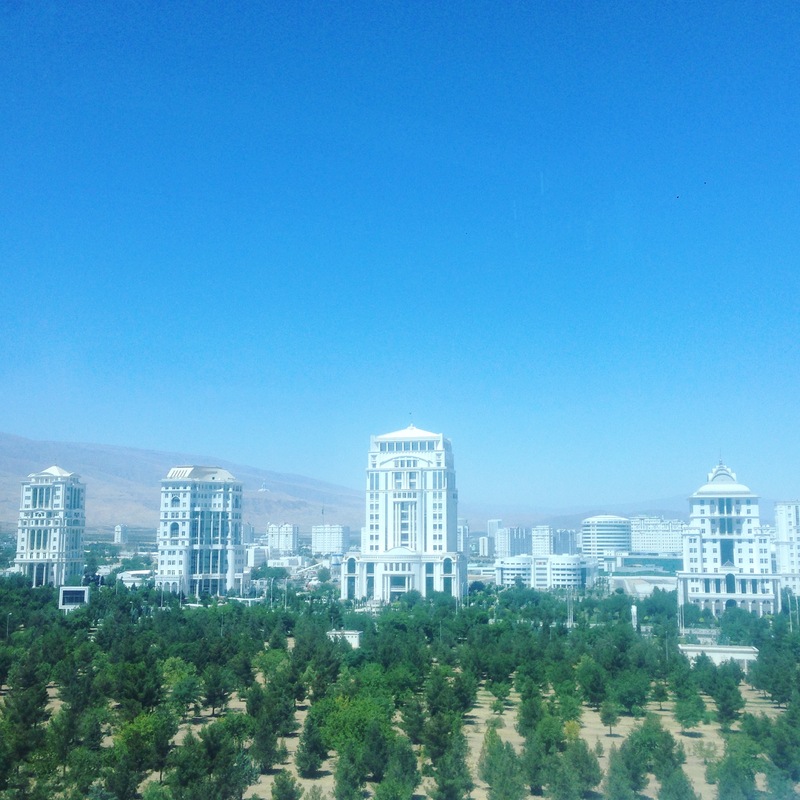 From Baku we cycled along the Caspian Sea, across the border and into Iran in the direction of the Chalus, a beachside town popular with Tehran’s occupants in summer. 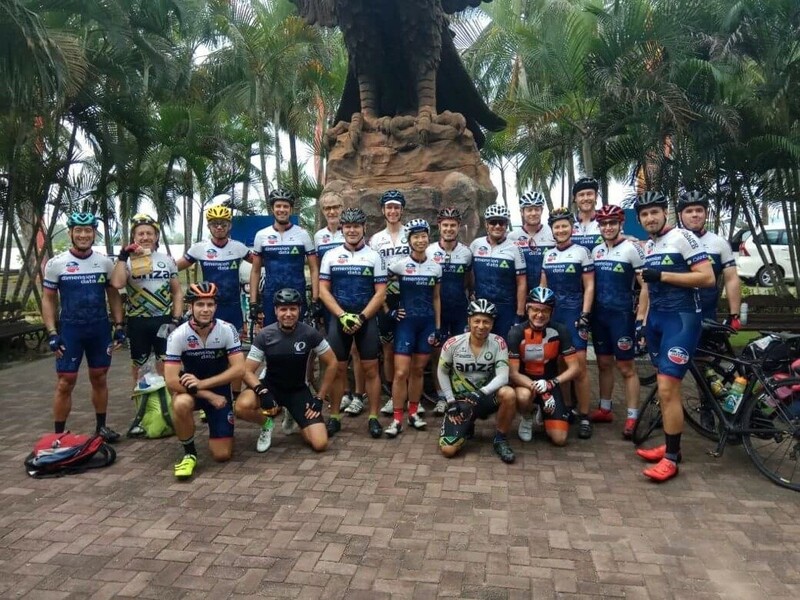 While we had both envisioned this coastal cycle as being a pleasant one, we were met with very strong headwinds, at one point struggling along at 10km per hour which made for a rather demoralizing day. These frustrations were definitely counterbalanced by the extreme levels of hospitality and kindness shown to us by the Iranian people that we met along the way. While I had read about this, nothing could really have prepared us for the continuous greetings out of car windows, a readily accepted invitation to be part of an extended family’s picnic lunch or the repeated invitations to stay in people’s homes when we were seen erecting our tent. 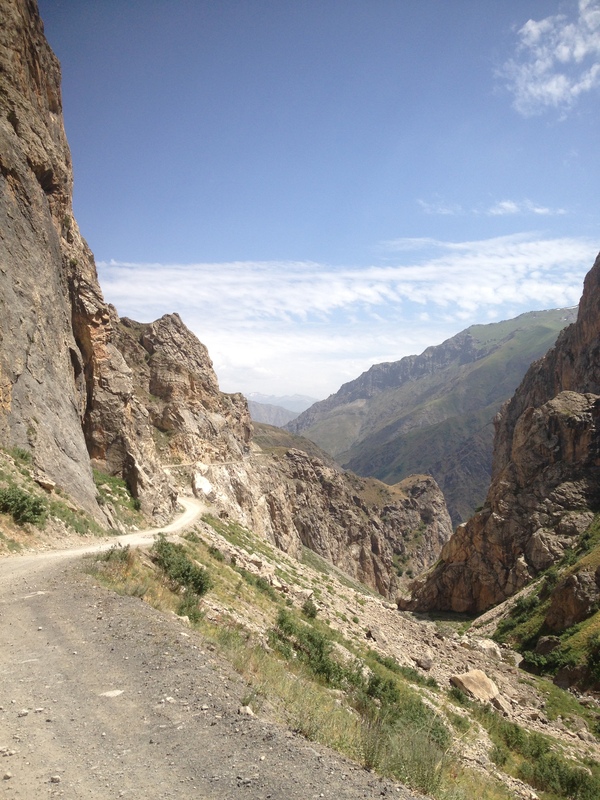 The road between Chalus and Tehran provided the most difficult two days of cycling so far. A narrow road with single lanes in each direction it winds its way over the mountains. And very disturbingly for cyclists it’s tunnels are famed for asphyxiating car occupants as they sit in summer traffic jams. We took our time navigating the switchbacks and trying to stay on the narrow shoulder that the road provided. And while we had wanted to celebrate the first day of climbing the descending sun forced us to hurriedly choose a rather gravelly camping spot above a police station instead. The second day proved similarly difficult but held the promise of a long descent. (Although this was something that the skeptical part of me was sure that would be punctuated by more hills.) Too exhausted to celebrate at the top as I had planned we finally began to descend but were greeted by the next challenge, a 1km long tunnel with minimal lighting and an almost non existent shoulder. After engaging in an internal debate as whether it would be cheating to jump into the back of a passing truck, Jonathan demonstrated that he is definitely the far more pragmatic and practical part of this team and we did just that. As we raced through the tunnel in the back of a small truck, I clutched into onto both my bicycle and headscarf and knew that we had made the right decision. This feeling was reinforced when I noticed the steady stream of water flowing across the tunnel floor. 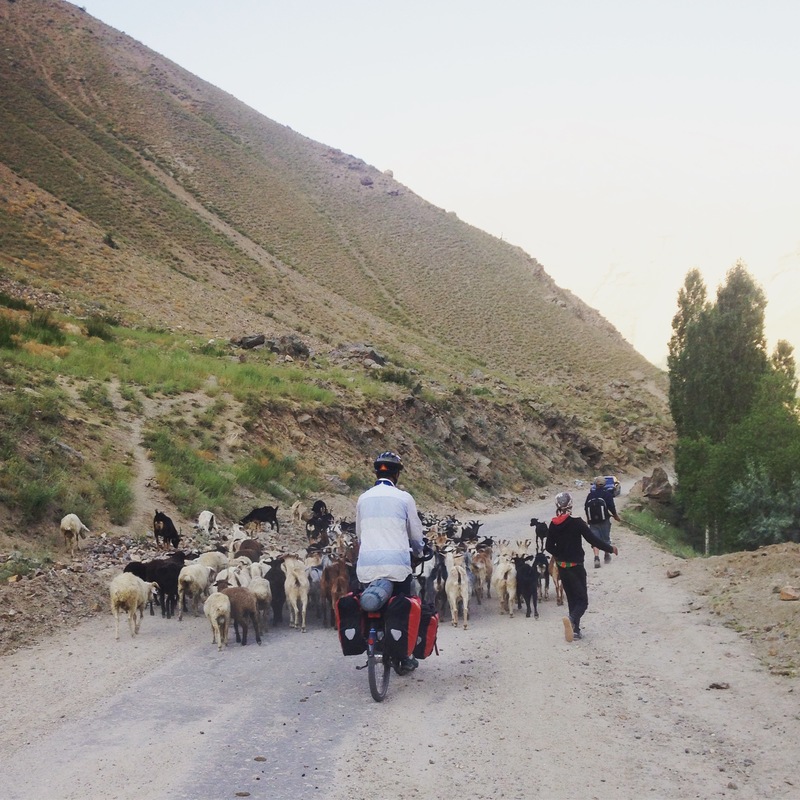 After dealing with the next long tunnel in the same manner we were able to reach the nearby town of Karaj that night where we were invited to stay in the garden of a passing mountain biker. 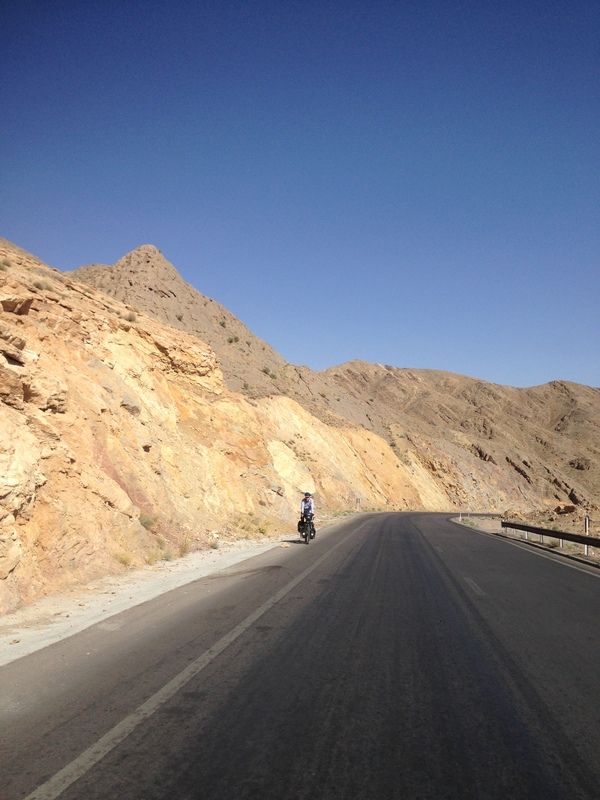 We left the following morning determined to beat the traffic and cycle the final 40km into Tehran. This soon proved to be a misguided strategy as we got caught up in rush hour and watched with growing incredulity as drivers changed lanes indiscriminately, reversed into traffic after missing highway exits and motorbikes took to the footpath to avoid the jam. Upon adopting a few of these strategies we finally made it to our hostel where showers and cake awaited. 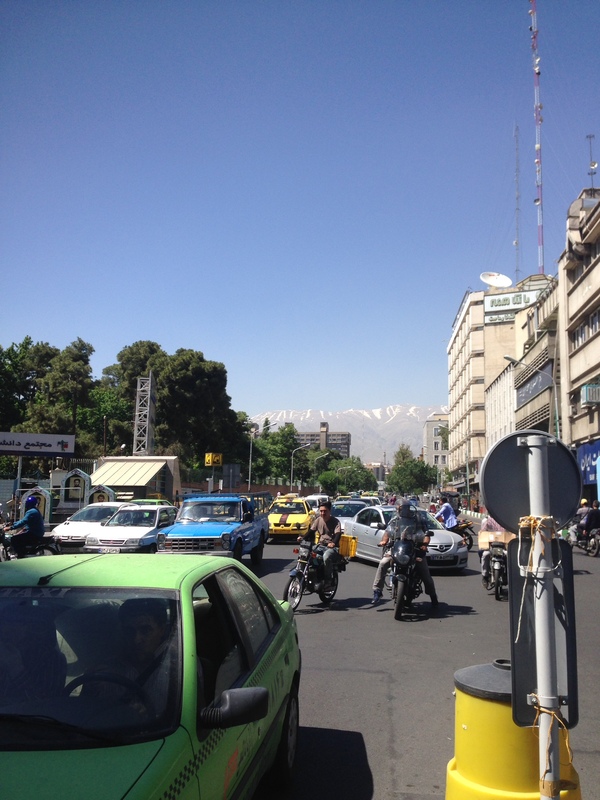 A week in Tehran followed in which I inexplicably began to feel affection for the city. This being despite the heat, near constant traffic jams, honking and almost sheer impossibility of being able to cross the road, even at a pedestrian crossing without being hit by a car or perhaps even a motorbike traveling in the wrong direction. In Tehran we were able to organize visas for Uzbekistan and Turkmenistan (although we’re still waiting on confirmation for the latter.) And to prepare for the next part of our sojourn, a cycle through the desert to see the Silk Road cities of Isfahan, Shiraz and Yazd.